I’ve played all of these, and I totally agree with PA on this (except maybe the SWTOR piece – I found SWTOR to be pretty bland in a lot of ways.) 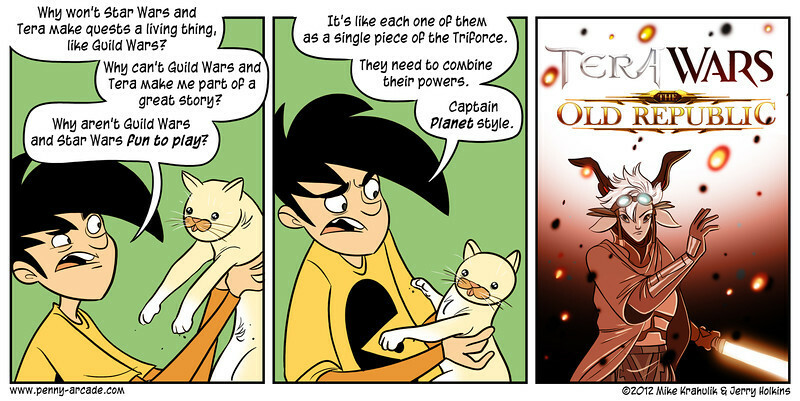 But Guild Wars 2 and TERA, even those two games frankesteined together would be great. Check it out over at PennyArcade – it’s been up there a few days, but it definitely bears going to check out and read again.